Relationships are a personal matter, even more personal when it is between a father and a daughter. Fathers, mostly, are non-expressive of their feelings and appear harsh and decisive, but is that their real side? One needs to deep dive inside the father to understand his thoughts and sometimes even daughters need to do so. Misunderstandings aren't a virtue, that everyone should possess, an attempt to clear those should always be appreciated. Now the question is, who should take the initiative to clear the misunderstandings, though I don't qualify to answer this on behalf of either of the parties involved, but I think that the father should be more mature in this case. A healthy and a happy relationship between the parent and the kid should be of utmost importance, the differences can be cornered easily. 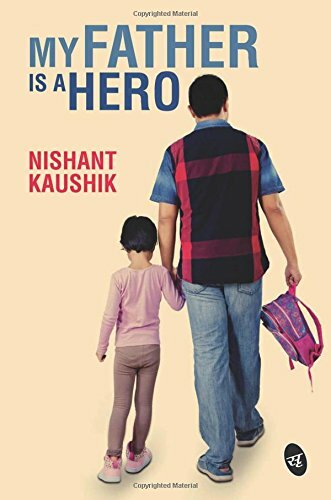 I recently read, My Father Is A Hero, a book written by author Nishant Kaushik. The story of My Father Is A Hero is about Vaibhav Kulkarni, the single father, and Nisha, his 10 year old daughter. The story is about their love and hate relationship, their understandings and the misunderstandings and their journey. On the journey, they discover more about them, more about the father, more about the daughter and more about their relationship. First things first, the book, My Father Is A Hero, is an emotional expedition at the display. Vaibhav Kulkarni, the father, always strives to do the best for her daughter, like any other father and is also about the emotional turmoil when the things aren't good. The story also tells about the extent that a father can go to make sure that his daughter is happy, no sudden change can ruin their happiness and the happy relationship that they have. The story is set in Pune where Vaibhav works in an IT firm while Nisha is a bright student, until the day things change for her. My Father Is A Hero is not a cliche story, doesn't have twists that may thrill you and neither some drastic turning point, but then what makes it a good read? The simplicity of the narration, the choice of words, they way complex issues in a father-daughter relationship are addressed, I am not a father nor a daughter, still, I could relate to it and I am sure that someone who is a father or a daughter will relate more to the micro-moments in the story. The book, My Father Is A Hero, on the outset is a good read, with the right emotions at the right moment, one thing that I personally didn't like about the book was the book cover, it could have been better. The book cover gives the story a mediocre look, which it isn't. My Father Is A Hero has a message to convey, responsibilities shouldn't restrict you from living your life to the fullest, when you live your life for others you should also live it for yourself. I would recommend this book to anyone who is keen on reading a simple yet an emotional story. Dear Rajeev, Yes, it is. 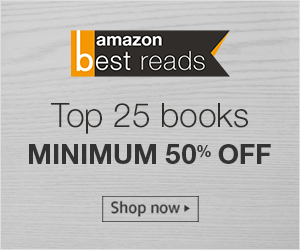 Do share your thoughts on the book with us when you have read it.